Shoulder pain is a very common problem, the cause of which is usually due to poor movement throughout various positions. If the arm and shoulder blade are not moving perfectly, then with repetitive motions over time, pain and discomfort can occur. 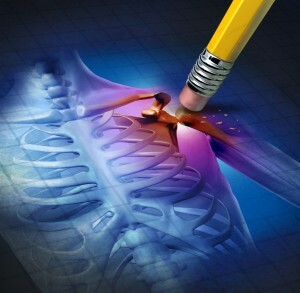 The shoulder is prone to injuries as it is a very loose joint and is only connected to the spine by one small true joint (The Streno-clavicular joint), the rest of the shoulder is held in position by musculature. This means that an imbalance in the musculature can lead to a variety of different types of injury at this complex joint. The neck is often a cause of discomfort in this region and is one of the key parts of treating a shoulder injury as a lot of the muscles holding it in place originate at the neck. a group of muscles commonly associated to this complex region of the body is known as the ‘rotator cuff’, these four muscles are crucial in the rehabilitation of a shoulder injury and the Chiropractor in our clinic in Omagh will explain the role of these muscles, and the neck, in relation to the rest of the muscles and joints that make up this very complex, but brilliant, joint. Shoulder pain can be helped with the use of ice. Of all the joints in the body this joint is the most reliant on correct function as slight imbalances can lead to long term problems. The management of this region is often very complex and the Chiropractor at our Omagh clinic has all the tools to be able to help and rehabilitate your injury back to function. Our Chiropractor is always up to date with the latest techniques and literature as they are focused on their own continued professional development. Frozen Shoulder occurs when adhesions develop in the joint capsule of the shoulder; the medical term used to describe frozen shoulder is adhesive capsulitis. The condition is characterized by three stages: pain stage, frozen/stiff stage, and the thawing stage. Pain may develop as a result of a surgery, trauma or illness, or it may appear without cause; if you are suffering from this condition, you may notice pain that is often described as an ache in the shoulder joint which becomes worse at night. 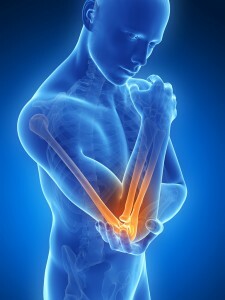 Over time, stiffness develops; you may be unable to lift your arm to the side or overhead. Activities that demand unrestricted shoulder motion may become increasingly difficult. Over time and with the appropriate management, the pain and stiffness associated with frozen shoulder should begin to thaw. Although researchers are unable to determine the exact cause of the condition, certain individuals (women, over the age of 40, injury to the arm that requires immobilization of the shoulder, diabetes, autoimmune diseases, and thyroid problems) are more prone to developing it. Although it is generally only seen in one shoulder, in certain cases, both shoulders area affected. If early interventions are instituted, you may be able to reduce the duration and severity of the condition; if you suspect that you have frozen shoulder, contact your chiropractor. Frozen shoulder is generally diagnosed by detailed history and physical exam. Your chiropractor will ask you questions like what makes it worse, what makes it better, how/when it began, and what it feels like. Next, an exam will be performed; your chiropractor will palpate (examine by touch) the anatomical structures of the shoulder. He/she will then assess the shoulder’s motion and perform specific orthopedic tests. Occasionally imaging will be ordered to rule out other conditions; however, frozen shoulder cannot be seen on an x-ray or MRI. What are the options for managing frozen shoulder? Frozen shoulder is commonly evaluated and successfully worked with at Omagh Chiropractic. In many cases, conservative management is successful and most people who suffer from frozen shoulder will not require invasive treatments like surgery. The chiropractor at Omagh Chiropractic will develop a plan that will work for you. Joint manipulation and manual, therapeutic strengthening/stretching exercises. Looking for a drug, injection and surgery-free way to thaw that frozen shoulder? The chiropractor Omagh Chiropractic may be the alternative you have been looking for. 1. Diagnosis and management of adhesive capsulitis. Manske RC, Prohaska D.Curr Rev Musculoskelet Med. 2008 Dec;1(3-4):180-9. A rational management of tennis elbow. Kamien M. Sports Med. 1990 Mar;9(3):173-91. Review. 2. Comparison of the early response to two methods of rehabilitation in adhesive capsulitis. Guler-Uysal F, Kozanoglu E. Swiss Med Wkly. 2004 Jun 12;134(23-24):353-8. Elbow pain can arise for a variety of reasons, whether from traumatic events during sporting activity or following a fall or from overuse such as with Tennis Elbow, Golfers elbow or Repetitive Strain Injuries (RSI). The Elbow appears like it is a very simple hinge joint, though as with most things in the body it is important to understand that there is more to this joint then what it seems. Without the special joints within your elbow, not only would you not be able to bend your arm, you would not be able to twist your wrist as much as you do. The elbow is a very clever joint in the way that is constructed to allow both flexion, extension and rotation as well as being able to transmit great forces into the upper extremity when fully straightened out and under force. Tennis elbow is considered one of the more common elbow conditions .This condition occurs as a result of repeated flexion and extension activities, most commonly associated, but not limited to, sports. Hence the name ‘Tennis Elbow’ as it is very common in tennis players as they tend to flex and extend their wrists to apply an element of spin and therefore control to their shots. Another condition on the other side of the elbow joint is known as Golfer’s Elbow, this condition again is due to repeated flexion and extension except that it affects the flexor compartment of muscles whereas Tennis elbow affects the extensor compartment. Both these conditions are as a result of micro tears occurring where the muscles are originating, this leads to a low level of inflammation being present at this region which becomes irritating and persistent. Our Chiropractor in Omagh has all the treatment techniques required to deal with this condition and can even advise you with some self help tips and exercises for at home. Our aim is to get you back to work or playing sport as soon as possible. What are the options for Tennis elbow pain? Tennis elbow is commonly evaluated and successfully worked with in the Omagh Chiropractic. In most cases, conservative management is successful and most people who suffer from tennis elbow will not require invasive treatments like surgery. The chiropractor at Omagh Chiropractic will develop a plan that will work for you. Joint manipulation and manual therapy, bracing, ice massage, therapeutic strengthening/stretching exercises, and rest are often included in that plan. 1. Manipulation of the wrist for management of lateral epicondylitis: a randomized pilot study. Struijs PA, Damen PJ, Bakker EW, Blankevoort L, Assendelft WJ, van Dijk CN. Phys Ther. 2003 Jul;83(7):608-16..
2. A rational management of tennis elbow. Kamien M. Sports Med. 1990 Mar;9(3):173-91. Review.